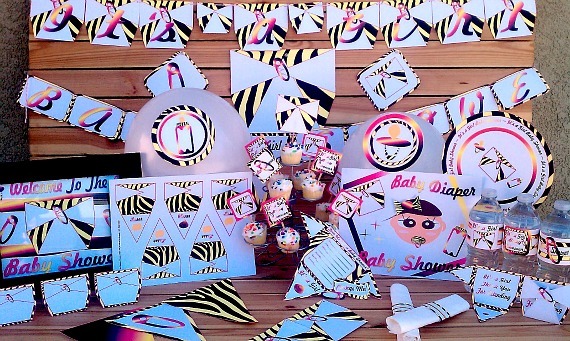 Yellow Zebra Diaper Girls Baby Shower Decorations that are unique & posh. Infused with pink colors in the words & trim. 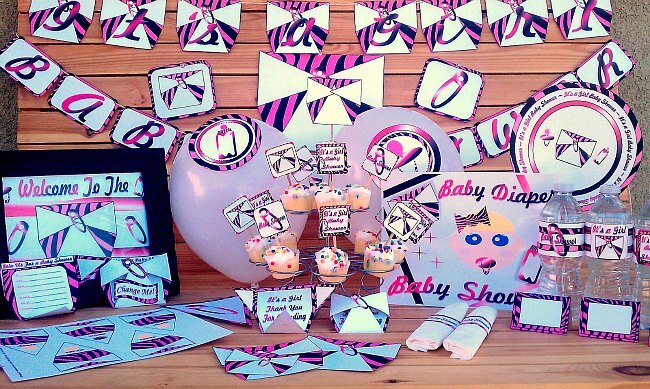 You'll find zebra baby diapers, pacifiers, bottles, & safety pins all throughout this baby shower design. A cute little baby girl face with yellow zebra bow is an eye catcher. This pack is available via instant download PDF & print out crisp & clear. You'll see everything included in this package below & in the photos.